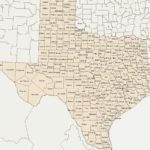 If you have any Obituaries for Irion County ancestors, please consider contributing them to The Irion County TXGenWeb Project. Otis Deal, 93, of San Angelo died Friday, Aug. 25, 2000, in a local hospital. Service will be at 2:30 p.m. Sunday at the Mertzon Church of Christ with burial in Mertzon Cemetery. Arrangements are by Johnson’s Funeral Home. He was born Aug. 23, 1907, in Sherwood. He was a pharmacist and a rancher. Survivors include his wife, Ora Deal of San Angelo; a daughter, Lou Ann Turner of Eldorado; four grandchildren; six great-grandchildren; and a great-great-grandchild. Verna B. Tankersley Atkinson, 95, of Mertzon, passed away Saturday, March 29, 2003, in an area nursing home. Funeral service will be at 10 a.m. Monday, March 31, in the Robert Massie Funeral Home Chapel with the Rev. Phil Steinbach, of First United Methodist Church, officiating. Burial will follow in Mertzon Cemetery. Verna B. was born in Sherwood, Texas, the 11th child of Fayette and Annie Grey White Tankersley. She was raised in Mertzon and attended school there where there is evidence that she was a member of the girl’s basketball team. After graduation from Mertzon High School, Verna B. attended Howard Payne College and later CIA, which is now TWU in Denton, Texas. Verna B. and Reginald Atkinson married in Marfa, Texas, where they started their life together, ranching. After ranching near Marfa, Rankin and Texon, they moved to Irion County where they settled permanently. They spent their life together ranching, focusing on raising Registered Herefords and Rambouillet Sheep. Together, Reg and Verna B. were members of the Texas and Southwest Cattle Raisers Association, and American Hereford Association and were widely known and recognized for producing quality livestock. Verna B. was a member of the Home Demonstration Club, and was an avid supporter of 4-H and other activities that supported youth. Together, she and Reg established the Atkinson Sportsmanship a-ward at Mertzon High School and chaperoned numerous senior trips from Mertzon High School. Verna B. preferred to be a silent supporting force in the background, always supporting and encouraging kids. As an active hardworking woman who ranched beside her husband, Verna B. inspired her nephew and nieces to be stewards of the land. She strongly believed in her father’s admonition “Take care of the land, and the land will take care of you.” She enjoyed hunting and fishing, and there are many tales of fishing and hunting trips with her and Reginald. Recently, her great-nephew, Boyce Tankersley III, commented on the influence Verna B. and Reg demonstrated by their private efforts with the conservation of the land, brush control, restocking Spring Creek with fish at their own expense, and working on the numbers and quality of deer and turkey in their pastures before the general population embraced these types of efforts. Verna loved a good joke and had a twinkle in her eye for her family. She worked hard and respected others who worked hard. Leading by example, she didn’t have much time for slackers. We miss her. 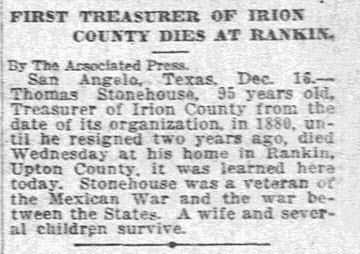 She was preceded in death by her husband, Reginald Atkinson; her parents, Annie White and Fayette Tankersley; grandparents, Richard Franklin Tankersley and Annie Ellen Tankersley and grandparents, Sarah Burns White and W.H. White; sisters, Oneita and husband, Arthur Smith, Faye and husband, Clint Mason, Leta T. Crawford and Myra Tankersley; brothers, E.L. (Lake) Tankersley and wife, Minnie, Boyce Elbert Tankersley Sr. and wife, Julia Lee, Claude Loil Tankersley and wife, MaeDell Mary Jane McCollum and Max O. Tankersley Sr.; and nieces and nephews, Arthur Smith, Owen Smith, E.L. Tankersley, Doris Tankersley Makinson, Boyce Elbert Tankersley Jr., Dorothy Smith Bugby and Louise Mason Miller. Pallbearers will be Dale Tankersley, Leamon Tankersley, Billy Tankersley, Phillip Tankersley, Max Tankersley, Neil Tankersley, Gary Tankersley, Fayette Tankersley, Jackson Tankersley, Loye Tankersley, Joe Shaw Jr., Stephen Shaw and Terry Shaw. She is survived by a sister, Verna D. (Tankersley) Shaw; a sister-in-law, Aletha (Ty) Tankersley; a brother-in-law and wife, Mr. and Mrs. D.O. Atkinson; a sister-in- law, Louise Atkinson Schmidt; and nieces and nephews, Dale Tankersley, Leamon Tankersley, Billy Tankersley, Phillip Tankersley, Max Tankersley Jr., Annie Tankersley Pruitt, Neil Tankersley, Sue Tankersley Sims, Gary Tankersley, Cindy Tankersley McCammon, An-nette Tankersley Williams, Fayette Tankersley, Jackson Tankersley, Loye Tankersley, Joe Shaw Jr., Janet Shaw Middlebrook, Stephen Shaw, Terry Shaw and Margaret Crawford Tepper. In lieu of flowers, the family requests memorials be sent to the West Texas Rehabilitation Center, West Texas Boys Ranch or the Concho Valley Home for Girls.